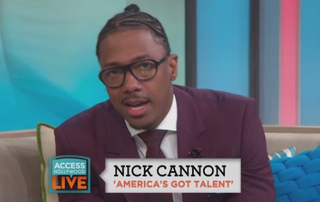 Over the last several months, Nick Cannon has been vocal about where he stands when it comes to the Black Lives Matter movement. He's been at the forefront of several BLM rallies in New York City and has made sure he makes BLM a talking point during recent interviews. His Monday interview with Access Hollywood was no exception … but Cannon's stance on voting may have raised a few eyebrows. Cannon once again explained that saying, "Black lives matter" doesn't mean that everyone else's lives don't. But he may have lost a few people when he said he wasn't planning to vote for president come November. In the end, he said, he doesn't want people to be like him, and he encouraged other people to vote. “There is lot of people that died and fought for the right to vote. Me personally, I don’t like the pageantry of it; it’s a popularity contest,” he added.